A Julia package implementing several topic models used for mutation signature estimation. 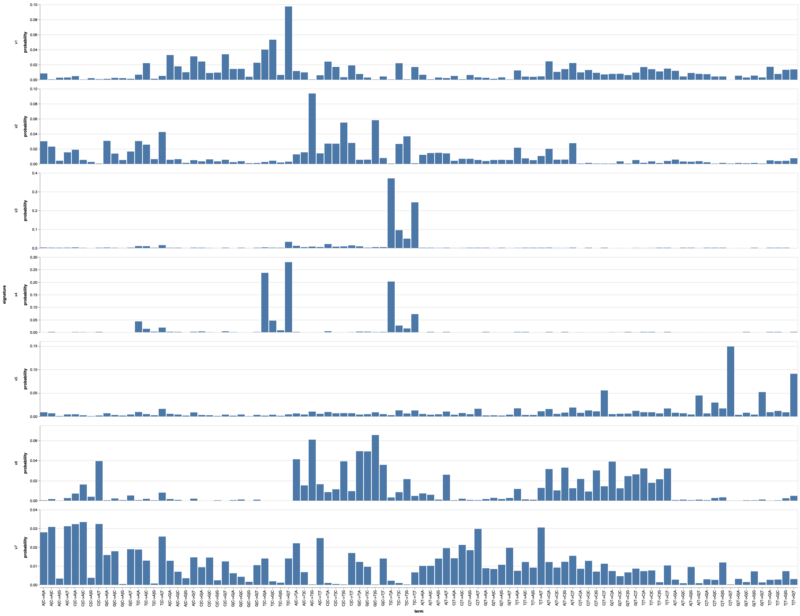 The Multi-modal correlated topic model (MMCTM) takes an array of arrays of matrices, where the first column of each matrix is a mutation type index, and the second column is the mutation count for a particular sample. Since these types of models can get stuck in poor local optima, it’s a good idea to fit many models and pick the best one.